At my school (D.P. 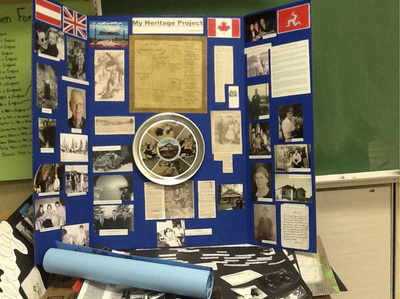 Todd Secondary), quite a few of the Social Studies teachers do some kind of Heritage Project with their students, particularly in Grade 9 and 10 but also in other contexts. 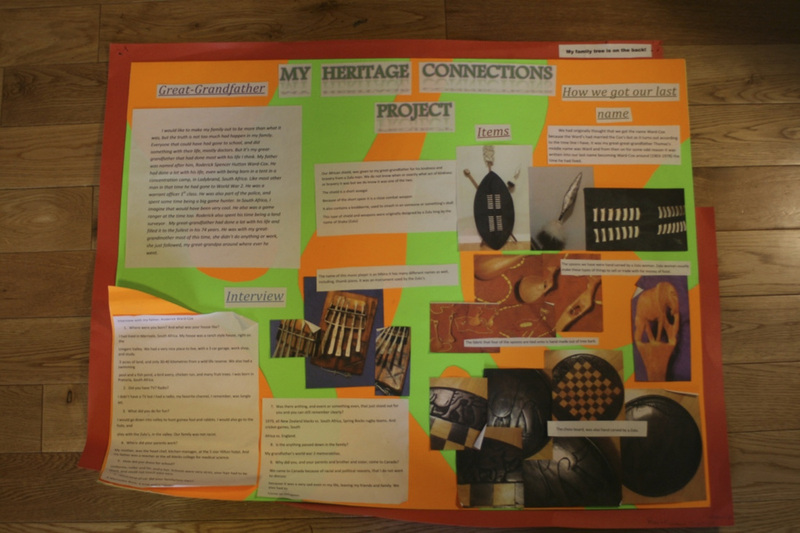 The immediate value is that students connect their own identity to the curriculum. In our experience this is the most effective engagement possible (not just for Heritage but in any area) -- when students connect what they are learning in school to their values, background, interests, ideas that ground them to past, present, and future, we see students for who education is meaningful. 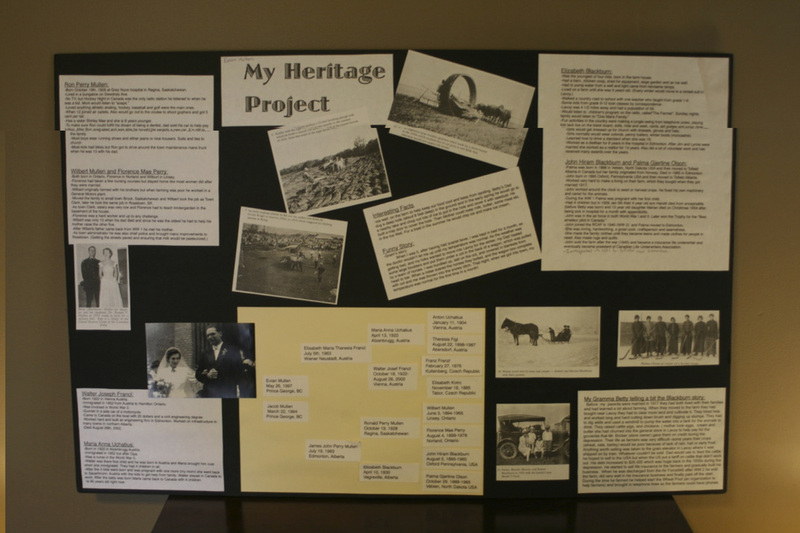 The two main applications of our school's Heritage Inquiry Program in my own practice have been the Social Studies 9 Skookum Stories Project and the Social Studies 10/11 Echo Project. 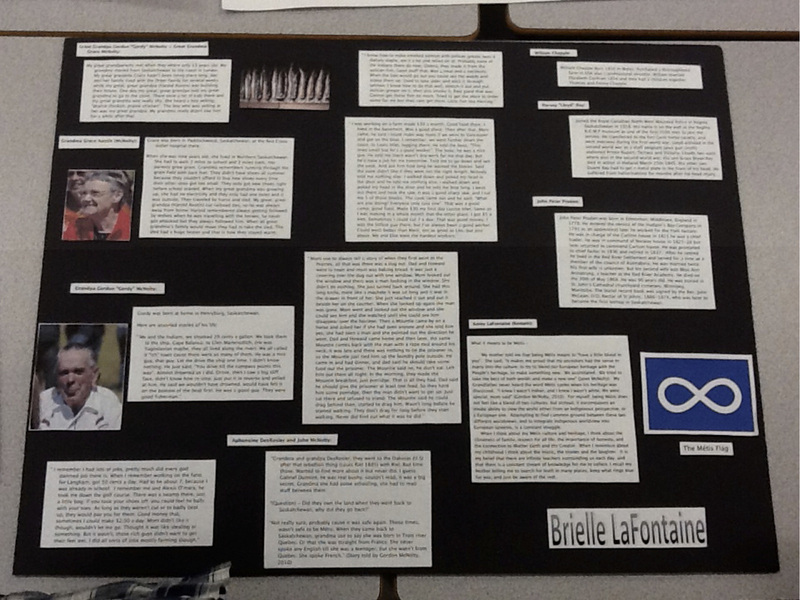 There is also a role for heritage inquiry in the Grade 12 GeoNarratives project. ​​One of the key aspects to heritage inquiry is the use of interviews with elders: seniors, community and indigenous elders, veterans, and relatives. Other aspects involve gathering primary and secondary sources that help fill in the details and prompt critical thinking amongst students. Prompts for historical and geographic thinking. Prompts for heritage inquiry. Print fronts. Place on bypass tray with correct orientation. Print backs. Slice, laminate, and trim. Please give me feedback as these are a pilot project and as-yet not tested on humans in this format. Pretty much every school library has a fantastic collection of books related to Canadian and World history. The problem is not "can I find something?" but "where do I begin?" Your teacher-librarian will be the most useful resource as you select titles to aid you in your research. I would also recommend using our course textbook and other reference books and textbooks that we have in the school. If you get your hands on any of the books by Barry Broadfoot, these will provide you with many quotes and primary sources that help illustrate the conditions for ordinary Canadians during different time periods in Canada. For example, his book Ten Lost Years deals with the great Depression and Six War Years covers WWII at home. Another set of books, maybe hard to find nowadays, is the Foxfire Series. This is a collection of "reports" by high school students on the ways of life that were quickly disappearing in their area. 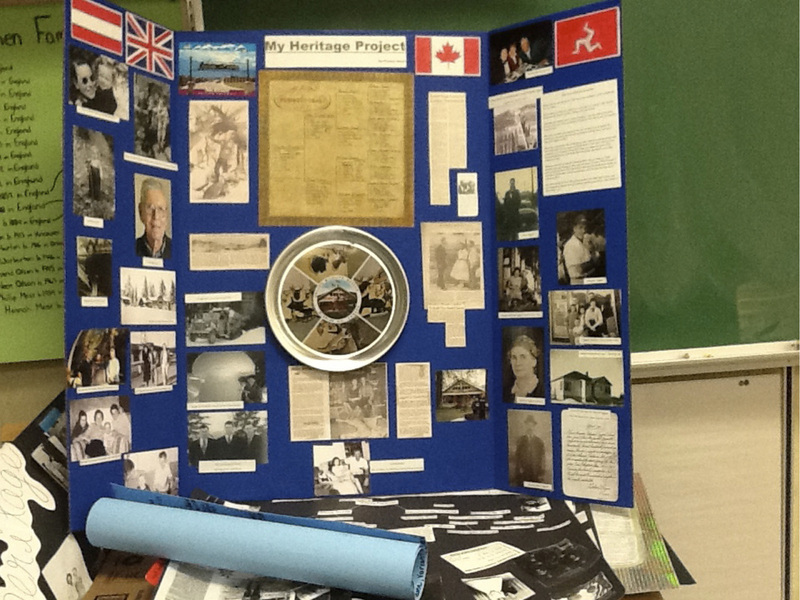 What kinds of things can students put into a Heritage Project? Found (e.g. reproduced) or original: coins, stamps, letters, maps, flags, drawings, recipes, ribbons, medals, and of course photographs. A Heritage Project may included interviews (clips, quotes, transcripts, summaries), family trees (charts or diagrams), gathered stories, interpretation of evidence, visual displays (e.g. posterboard), digital presentation (e.g. slideshow, video, website), or a "performative response" (dramatic reenactment, music, dance, original art). How does "Inquiry" fit in? What did World War II mean to my grandparents? How did my family experience poverty in the 1930s and 40s? What can my own family evidence tell me about how the values, goals, and expectations of teens in the 1950s differ from what they are now? Are values, goals and expectations actually tied to entire generations or are they a result of individual families and their circumstances? What role do grief, fear, hope, and joy play in the lives of my ancestors? What connections can I make between the stories that stand out as I conduct heritage research? How much were the lives of ordinary people affected by global events and famous leaders of their time? Looking back at what impresses (or depresses) me about the stories I've gathered, what do I think I would like to pass on to my own children? Is there a "geography" to my heritage -- what role does "place" play in how the stories unfold?